Happy Thursday everyone. Here’s my next 2 recommendations on eateries to try this weekend, or next time you can’t decide where to eat in the wonderful city of Leeds! This edgy Spanish tapas place is down near the calls. A large group of us visited one Friday night in February for my sisters birthday. 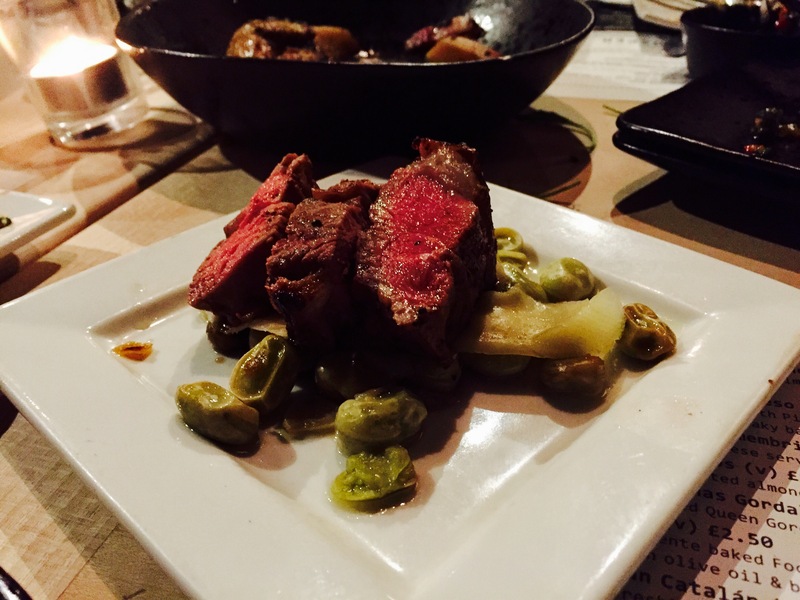 The menu at Ambiente is really exciting, offerring an alternative selection from your ‘traditional’ tapas food. You just have to try their Morcilla (unless you’re a vegetarian of course). 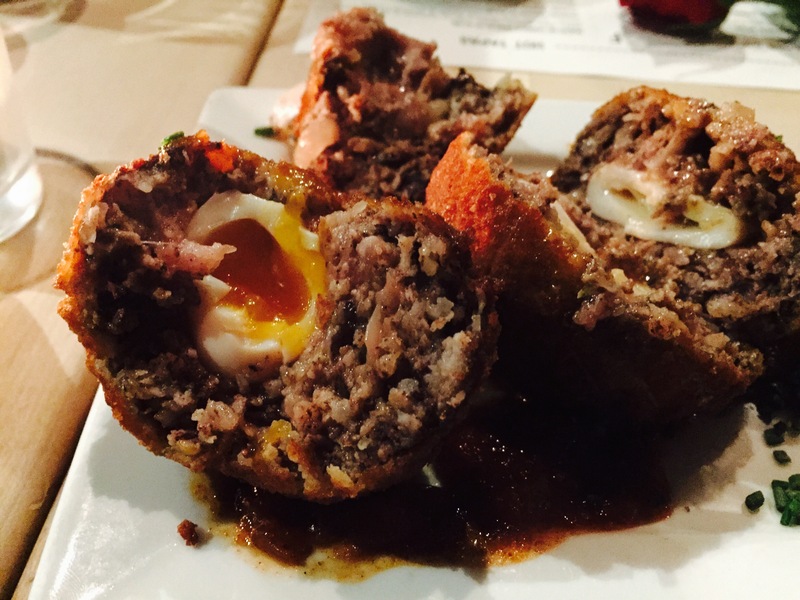 It’s a blend of Yorkshire Sausage Meat & Spanish Black pudding, encasing a boiled Quail Egg, then deep fried until golden. So yes, similar to a Scotch Egg. The seasoning was amazing, so much so I tried and failed to get the recipe, the chef understandably wasnt prepared to share! Price wise I felt that it was more than appropriate for the food we had. A quick mention is needed for the staff who were fantastic throughout the evening. 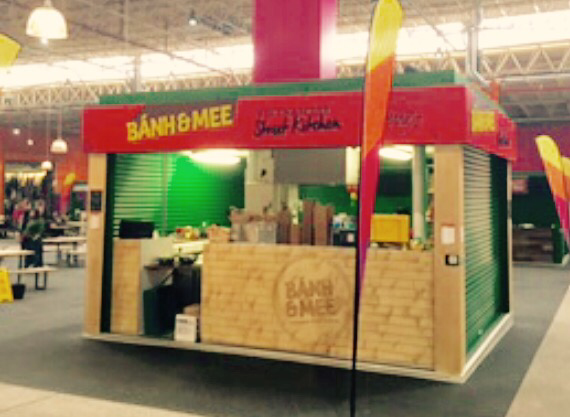 Mylinh and Sengy run this Vietnamese street café in the new indoor eating space at Kirkgate Market, and they always give you a warm welcome. 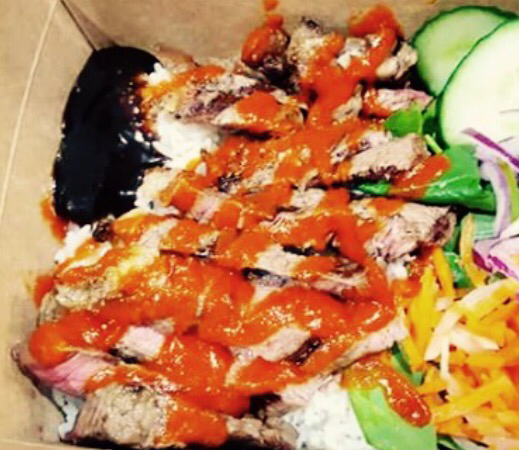 This is one of our lunchtime favourites, with it being just a 5 minute walk from the office. Their food is fresh and tasty. I usually opt for the Lemongrass Chicken Rice with a dollop of Sarachi Sauce for an extra kick. My friend Sofyanahs favourite, as a vegetarian, is the Tofu with rice, again with the Sarachi Sauce. It’s unfortunate that the food vendors here can only open during the markets opening times, which limits their trading times. Opening times for Kirkgate Markets is 11-5pm Monday-Saturday. *This is not a sponsored post. All comments and opinions are my own.